Paris. City of cities. And now also city of bikes. 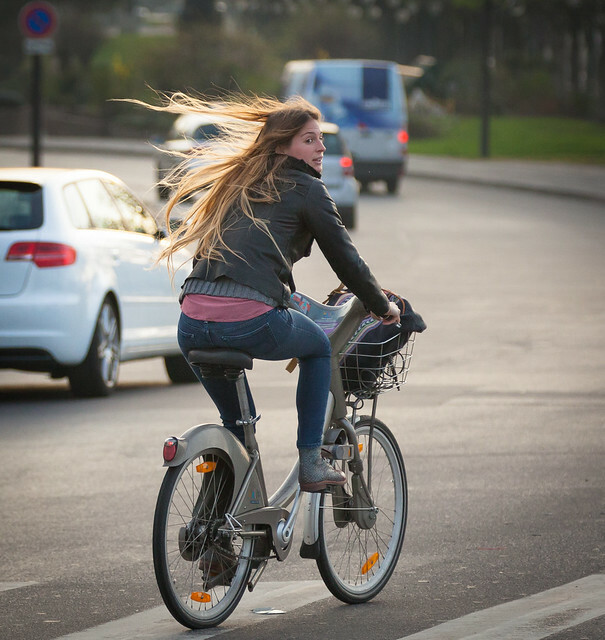 Especially the Vélib' used above - a public bicycle sharing system - has been a huge success with lots of daily users. Here a guy looking cool on his vintage bike at Notre Dame. When I was a student in Paris in the 1980's you would hardly see any bikes at all. 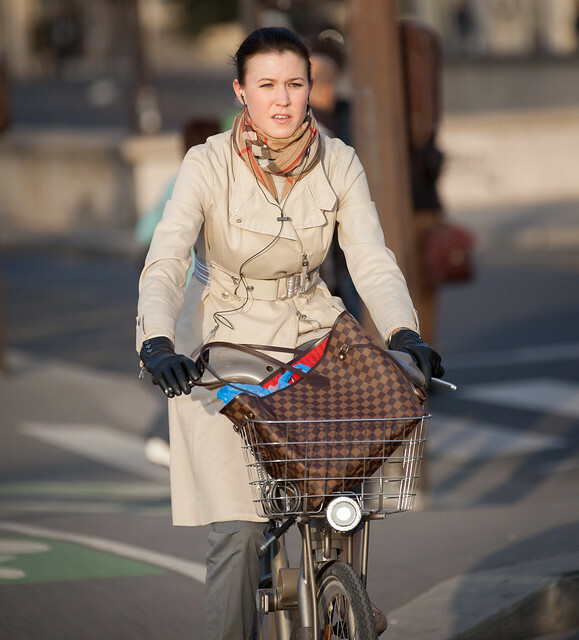 Now the streets are full of lovely Cycle Chic Parisians. A colourful and innovative Russian inspired combination. 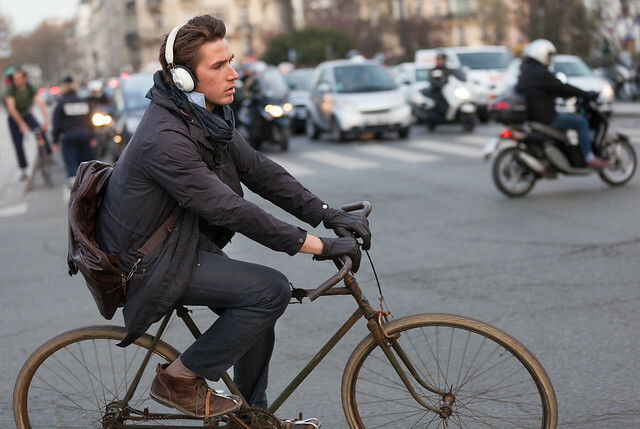 Two out of five are having earphones in/on during cycling, i.e. participating in traffic. A dangerous habit. I have to agree with Amanda.I read several blogs.Yours is to be my favorite.